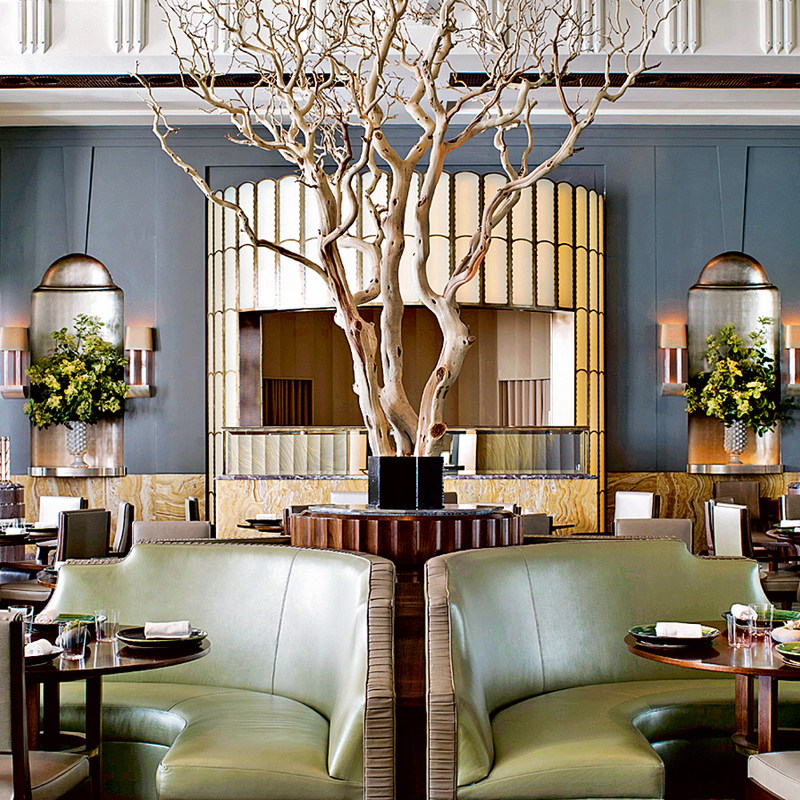 Opulence doesn’t come much grander as Claridge’s is the most iconic 5 star hotel in Mayfair. 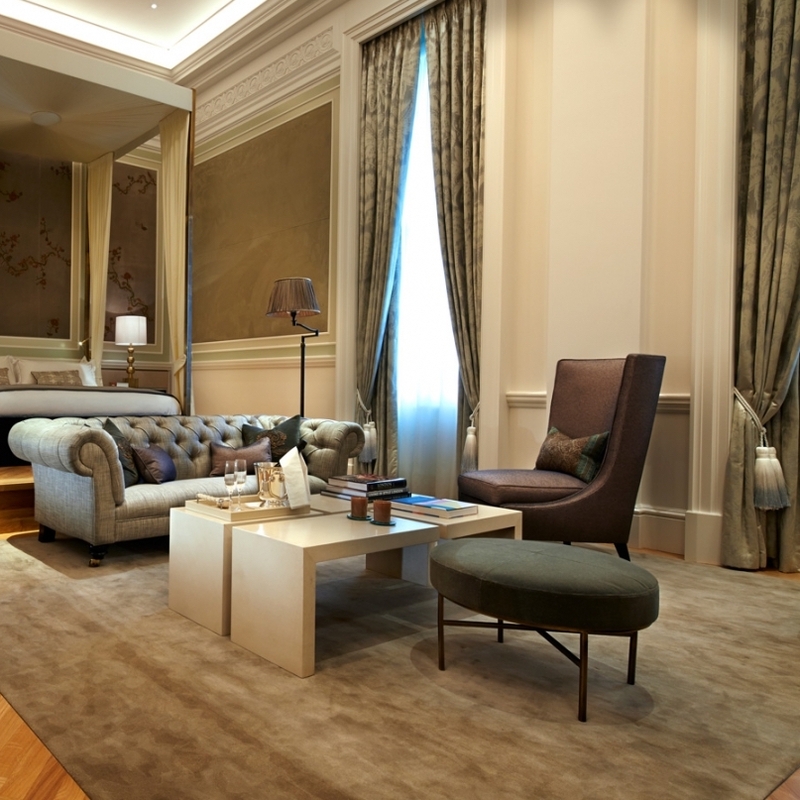 Experience a world of design and flawless service at this luxury hotel with it’s long-standing connections with royalty leading it to being referred to as an “annexe” to Buckingham Palace. This London 5 star hotel has enchanted royalty, dignitaries and celebrities since 1865, when it opened as Europe’s first ‘Grand Hotel’. Discover the luxurious guestrooms and suites, 15 function rooms, Chuan Spa, fine dining restaurant, Roux at The Landau and Palm Court, famed as the place where the tradition of afternoon tea was born. 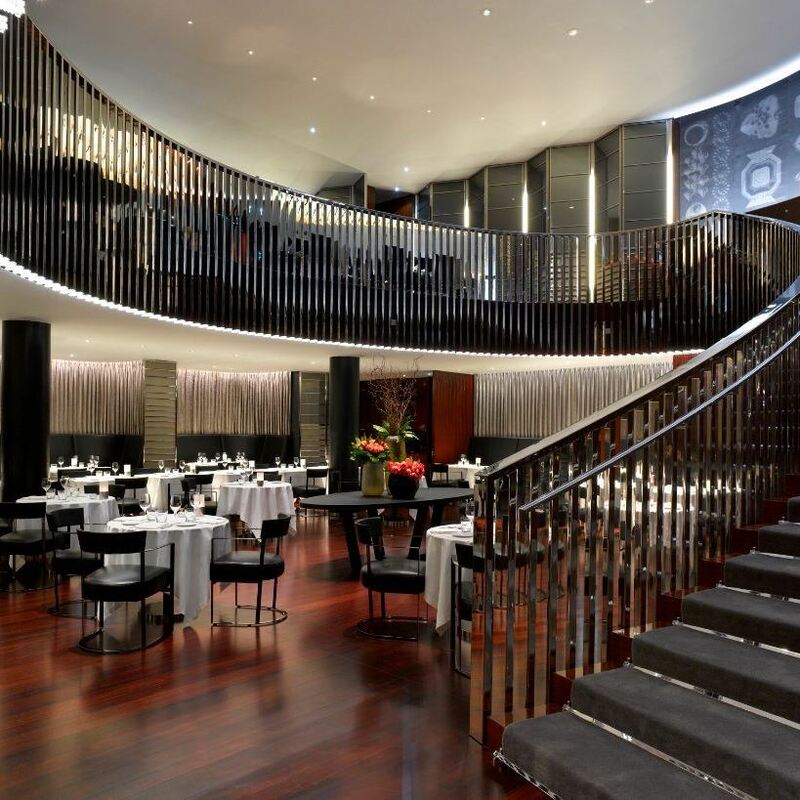 As one of London’s most celebrated hotels, The Mandarin Oriental offers an enticing blend of elegance, style and luxury. Home to two of the city’s best restaurants, a stunning spa, beautifully designed accommodation and exquisite function rooms, they offer a fashionable, yet timeless base from which to discover the British capital. The Berkeley is a luxury hotel in Knightsbridge, renowned for its contemporary elegance, celebrity buzz, sublime service and state-of-the-art facilities. With more than 100 years The berkley has epitomised elegance and exquisite luxury, constantly reinventing itself to be at the forefront of innovation and design. Perfectly positioned just moments from Trafalgar Square, Westminster and Covent Garden, yet close to Mayfair and The City’s Square Mile, The Corinthia flagship provides state-of-the-art facilities in an eminent building dating back to 1885 and the Empire days of Queen Victoria. Designed by the world famous architects Foster and Partners, amongst its fantastic services and facilities ME London provides 157 exquisitely designed, modern rooms, including 16 suites; two New York restaurants (Cucina Asellina and STK London); Roof Bar with outdoor terrace and spectacular panoramic views of London. 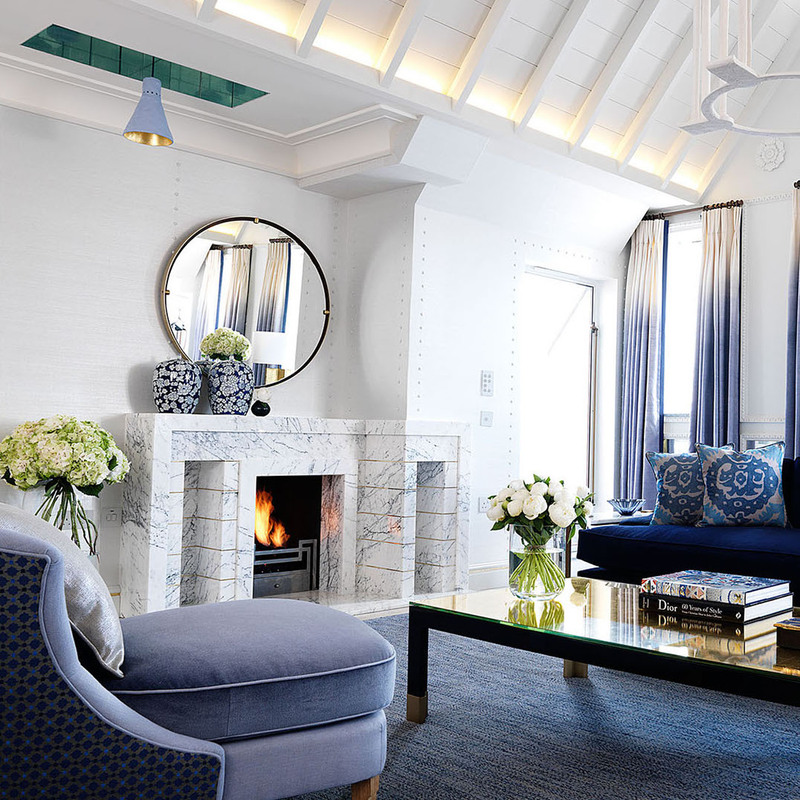 Built as a home-away-from-home for the denizens of Britain’s stylish country houses, no hotel has updated the classic British style with quite as much élan as the Connaught. Leaded skylights, liveried doormen, and masculine bars and restaurants are the picture of restrained 21st-century glamour, while the rooms are spacious Edwardian gems. “It’s charming, beautiful, witty, friendly, stylish and very cool” (The London Financial Times). Situated only a minute’s walk from leafy Soho Square and the theatre district, it is surrounded by some of London’s best bars, restaurants and cafes. 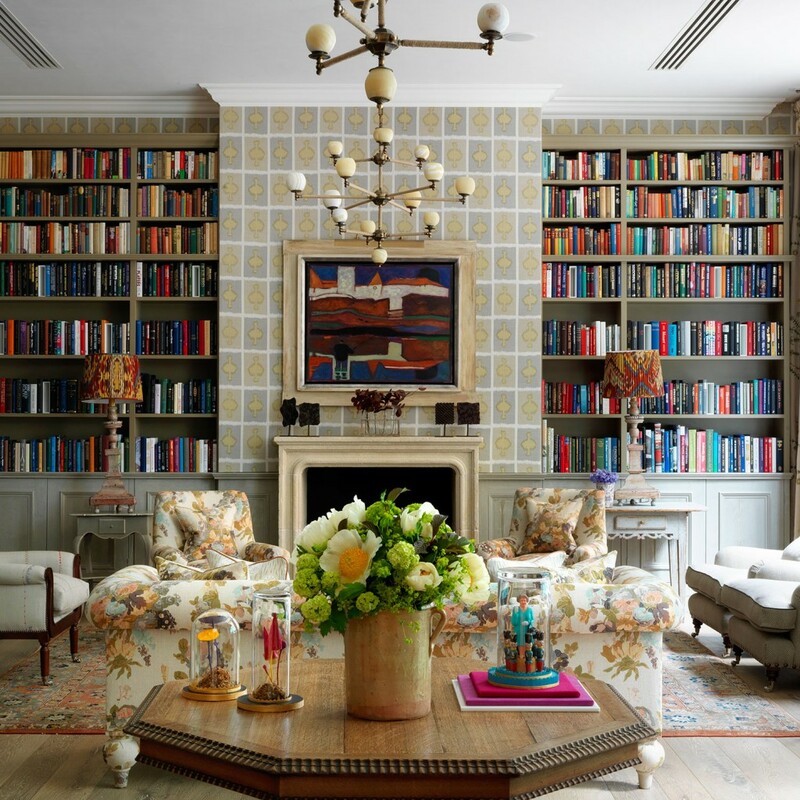 Designer Kit Kemp has used a ‘Bloomsbury Group’ theme throughout the hotel with original art by Bloomsbury artists Vanessa Bell, Duncan Grant and Roger Fry as well as other famous British artists of the period hung in all the rooms. 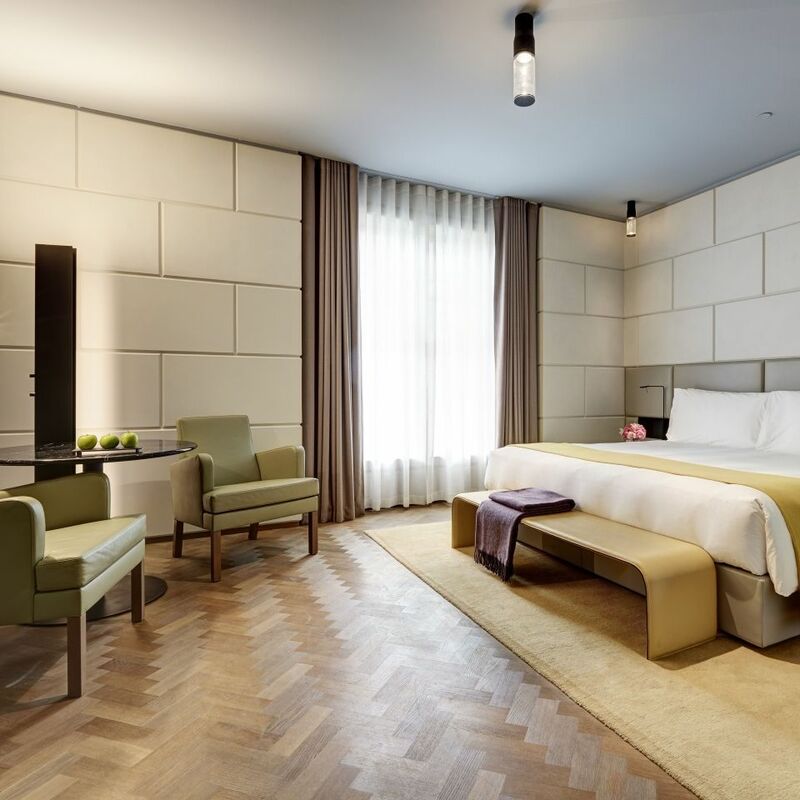 Located in the heart of Fitzrovia, The London EDITION is the latest project by the visionary hotelier, Ian Schrager in which he blends ground breaking innovation and design with personal, friendly, modern service. The hotel preserves the finest aspects of an iconic landmark building, but reinvents the spaces within to create a dynamic fusion of old and new, past and present. Made up of 11 Georgian townhouses, Brown’s has a rich and intriguing history. Distinguished guests have included presidents and prime ministers, royalty and writers. 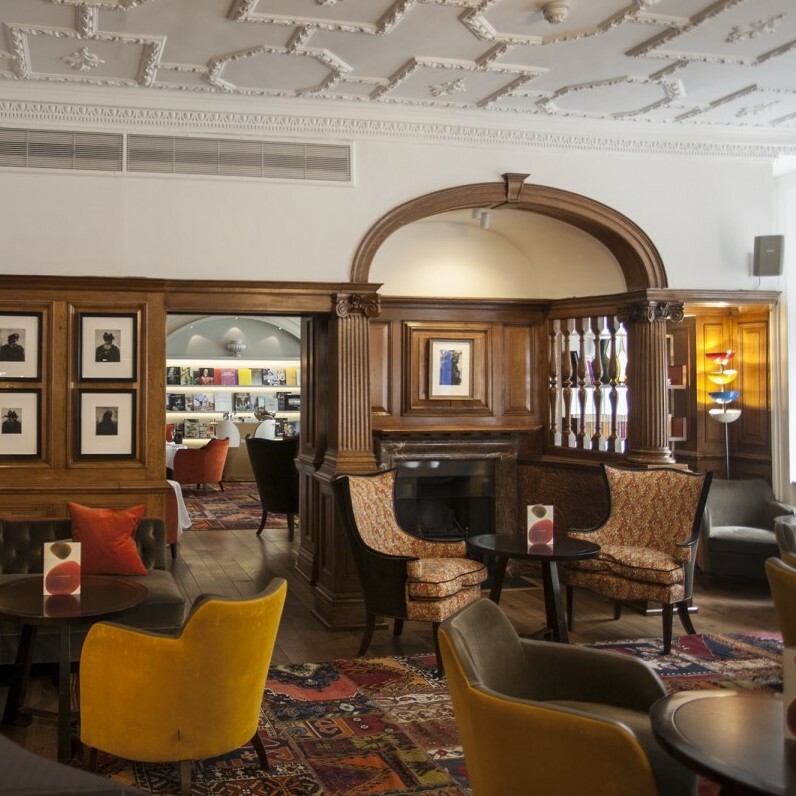 Brown’s Hotel lies in the centre of London, Mayfair, close to the boutiques of Bond Street as the Royal Academy of Arts and as near to the hustle and bustle of Soho as the calm of Green Park. 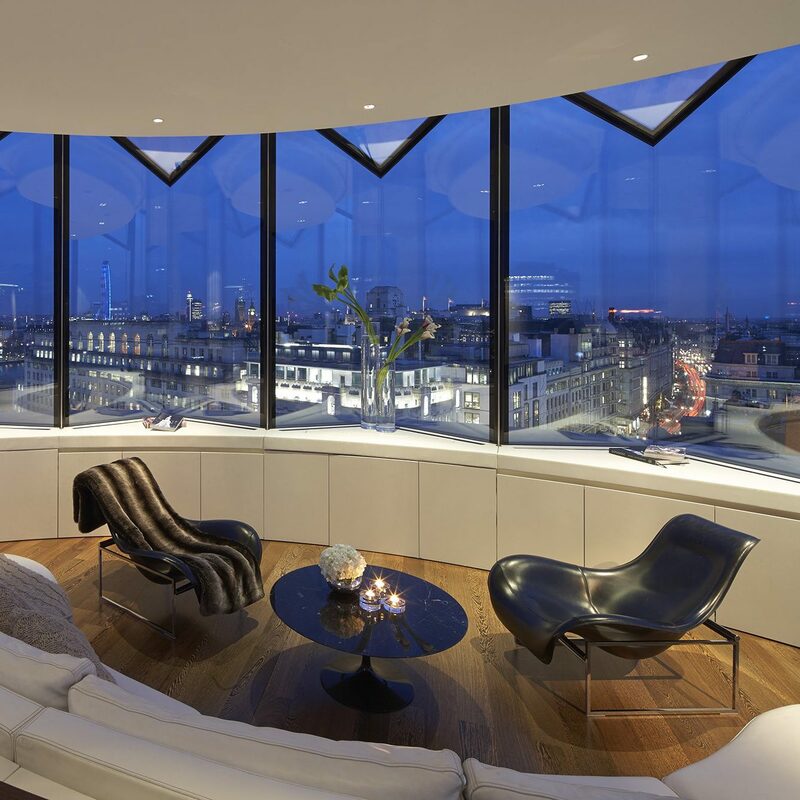 The Bulgari has set new standards among the luxury hotels of the British capital. 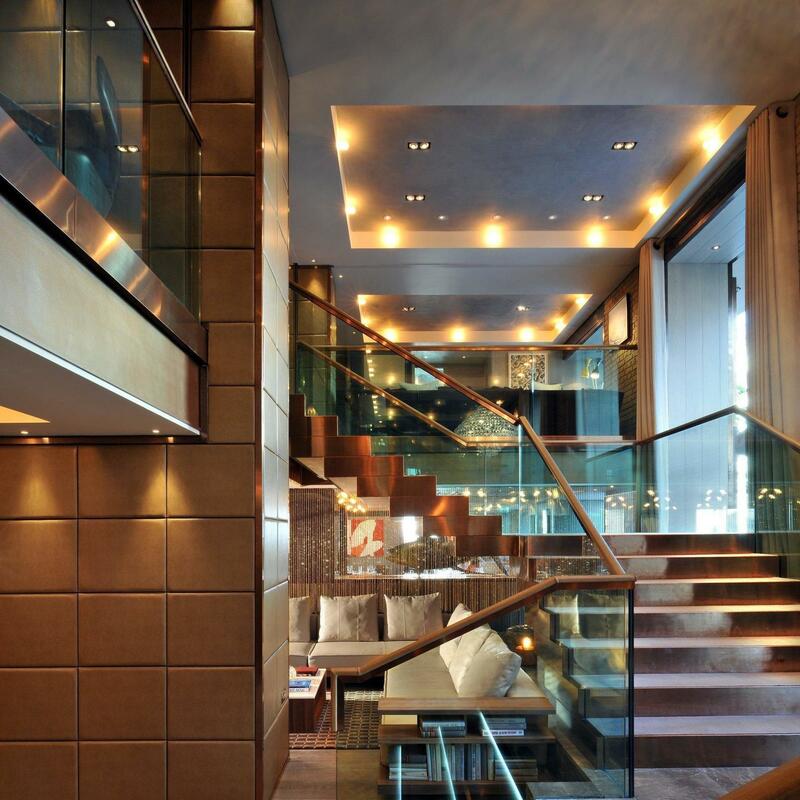 Elegant contemporary architecture and Bulgari’s refined interiors are matched by class-leading quality of service. 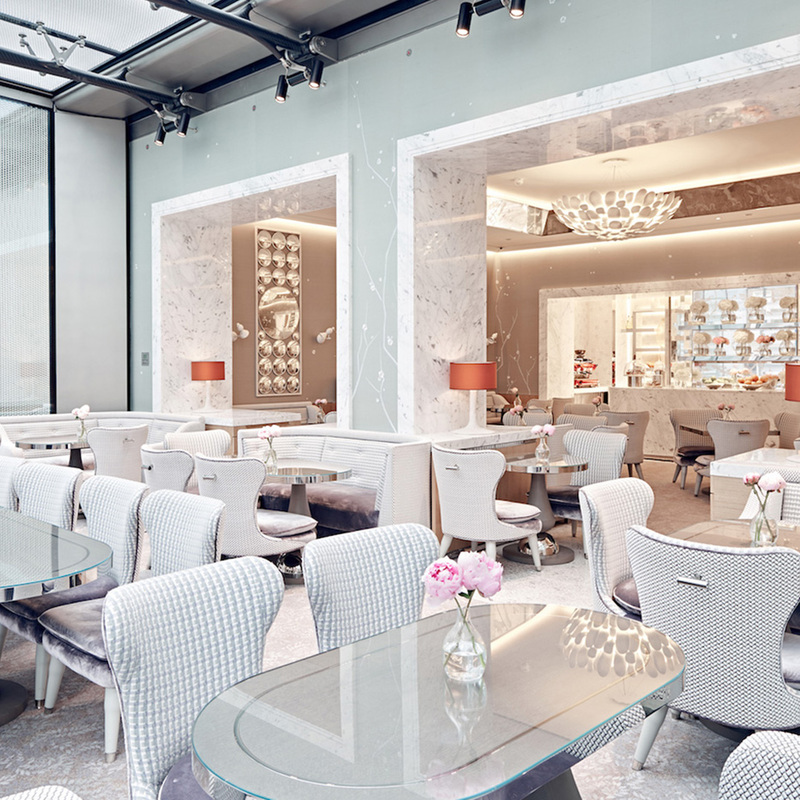 The hotel offers Bvlgari glamour and heritage combined prime positioning between the shopping haven of Knightsbridge and the green spaces of Hyde Park. 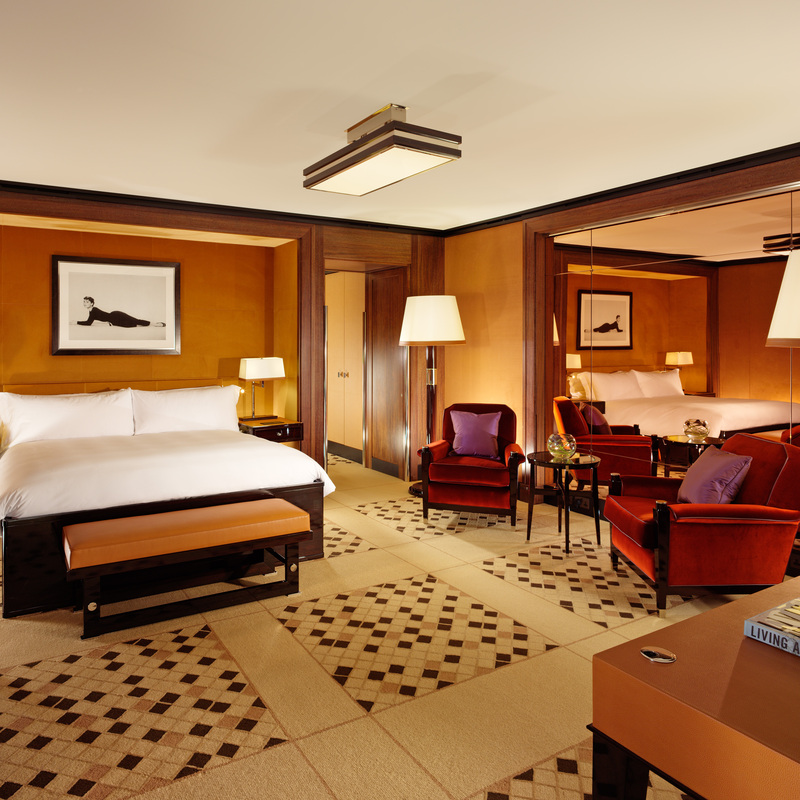 With its landmark architecture, dynamic interiors and contemporary art collection, 45 Park Lane offers guests a relaxed and luxurious stay. 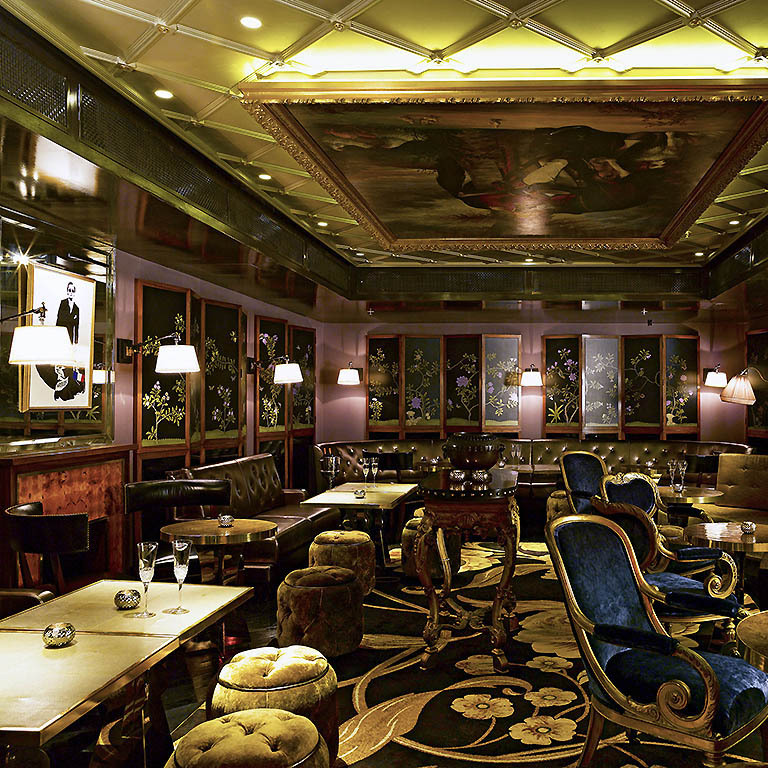 The state-of-the-art hotel is just steps away from sister hotel The Dorchester. The Penthouse Suite is the ultimate experience with its Art Deco design and wrap-around balcony featuring panoramic London cityscape views. 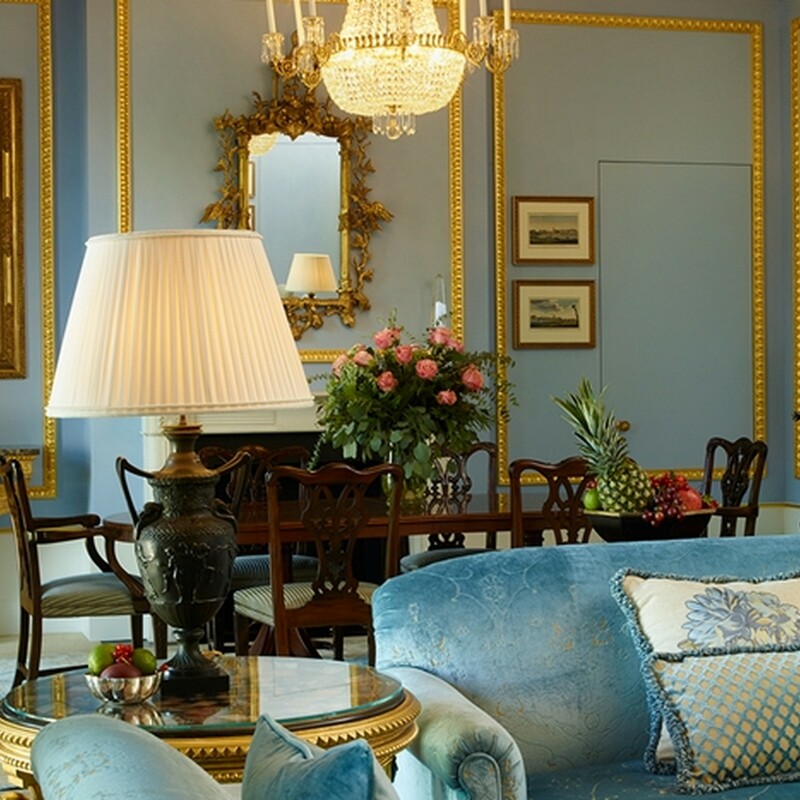 Based in a exquisite grand residence, a night at The Lanesborough is a night of high refinement, combining English service and style. 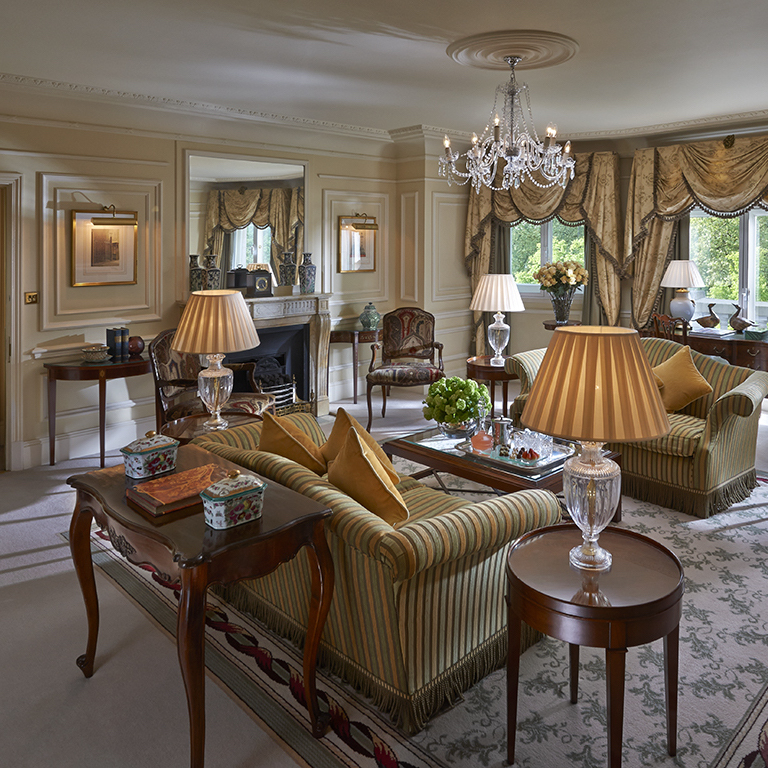 The Lanesborough provides it guests with unrivalled service, throughout the day. It is the only hotel in London to offer all residents a 24 hour butler service, from laundry services to wake up calls.. Its ideal location makes it easy to access London's theatres, galleries and museums. The Hari is based on cultural legacy, originally it housed earls and poets. The heritage of the hospitality comes from the Harilela family who manage hotels around the globe.. The Hari hotel combines unique concepts and creative collaborations with the Harilela's family passion for service. 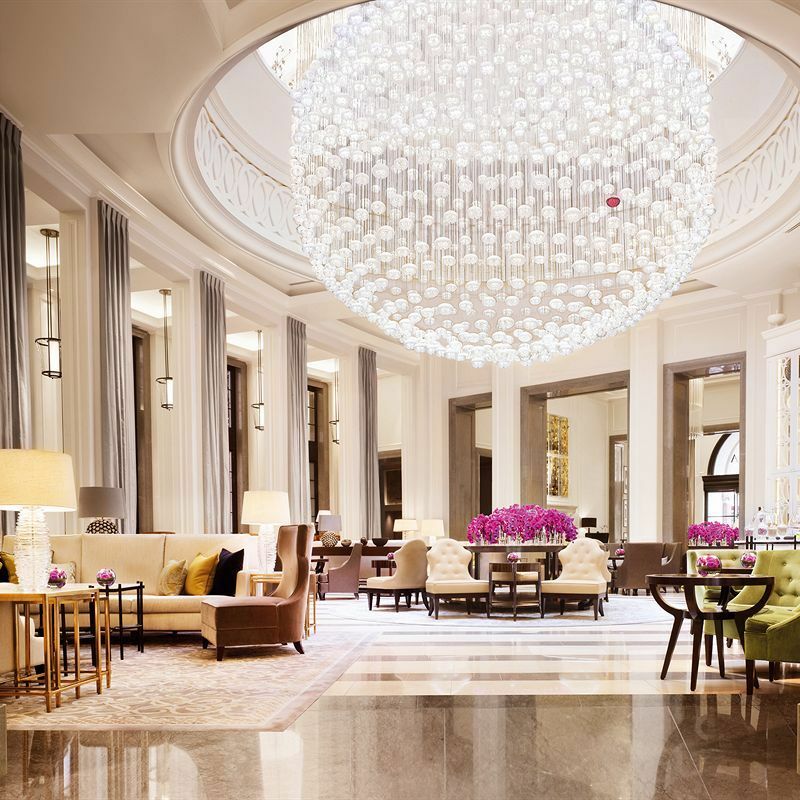 The Four Seasons Hotel London at Ten Trinity Square offers a mixture of a contemporary experience in an iconic hotel, located steps from top businesses and attractions within London. With luxury and stylish bedrooms it definitely a place to stay. 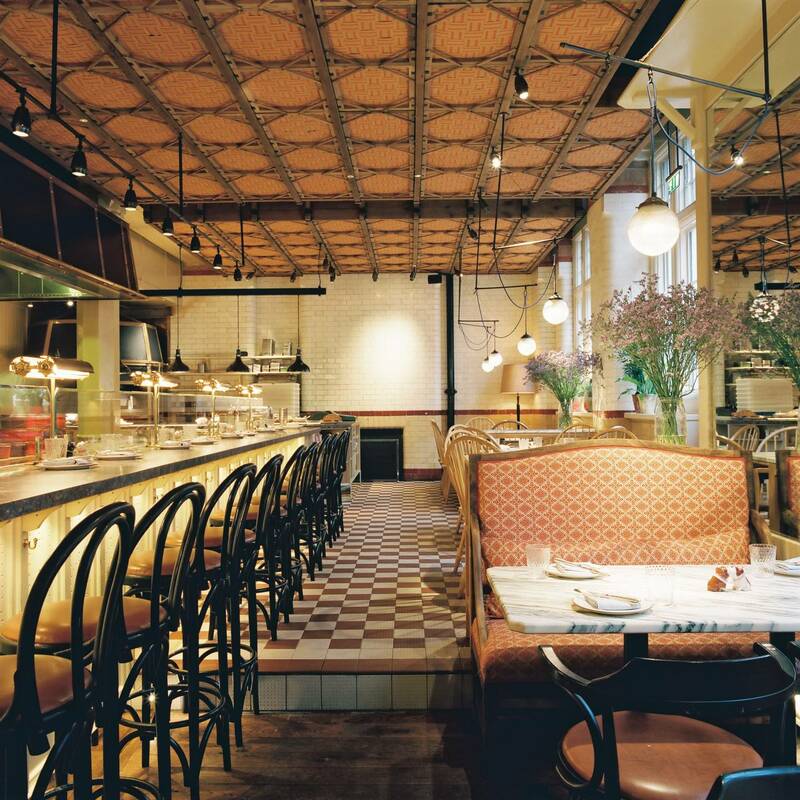 It also features a French restaurant under the direction of Anne-Sophie Pic, A Michelin Starred chef. 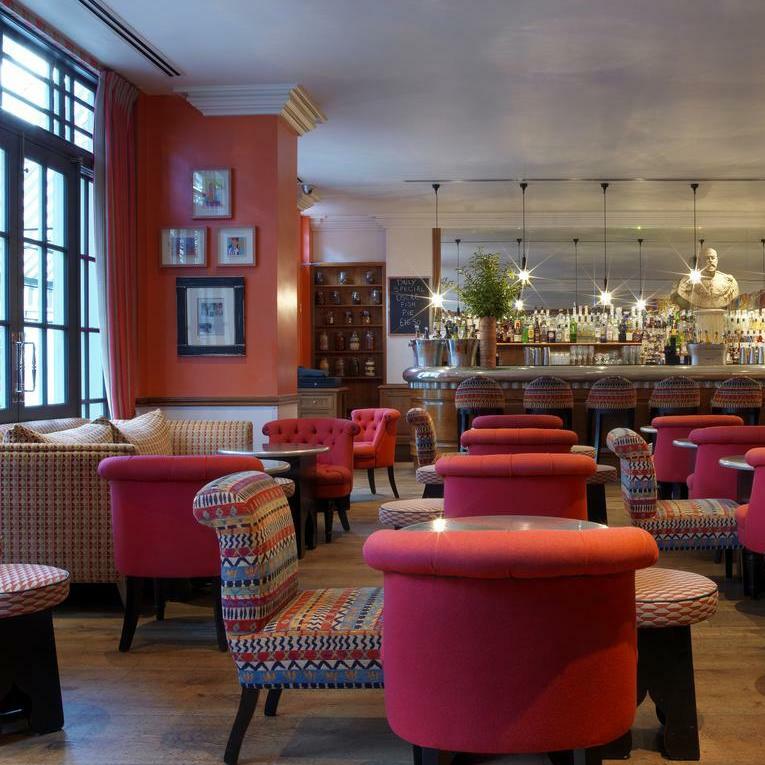 Originally a fire station in 1887, the Chiltern Firehouse is in a class of its own. A timeless interior combined with the remains features of the forestation is a unique mix that is truly impressive.. the service is relaxed and swift. Arriving through an archway into an Edwardian courtyard leads to a tranquil setting in a busy London, leading to a luxury feeling. It is the perfect way to start a memorable time in London. It is situated just steps away from Covent Garden. Bringing a fresh feel to London, the Mondrian combines the style and sophistication of a boutique hotel with the eclectic vibe of Southbank. The suites offer unique views of the river Thames. 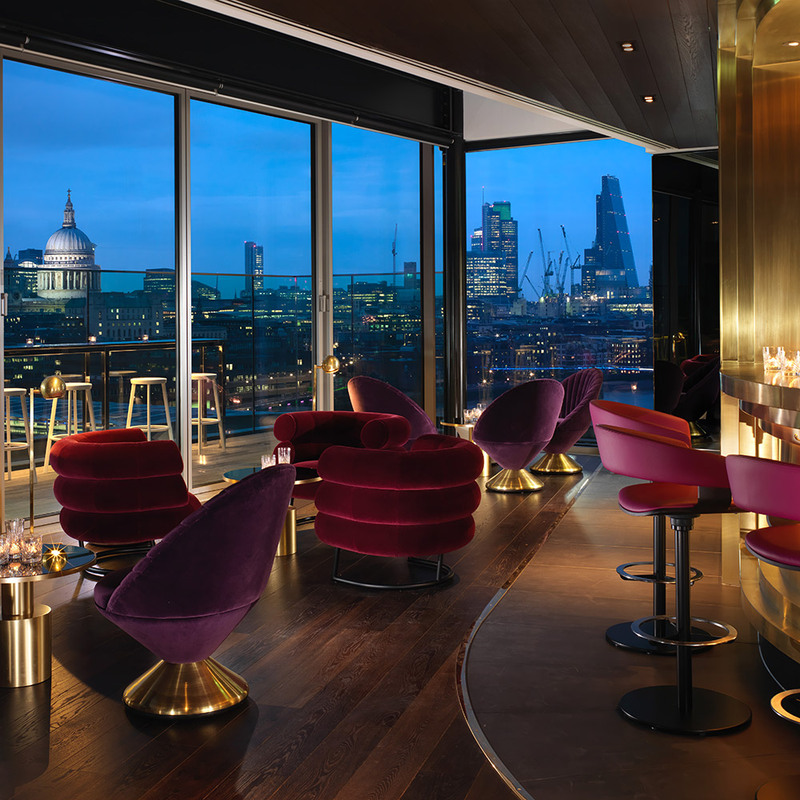 The Rumpus Room offers a rooftop bar with panoramic views of London. The Cafe Royal began in 1863 when a merchant escaped France to avoid creditors and out it came the Hotel, a is situated in an unrivalled setting combining the elegance of mayfair, energy of Soho and the sophistication of St James. The hotel is the place to convene, and converse.. The St James Club is located in quiet cold-de-sac in the heart of Mayfair, just minutes from exclusive shopping and the theatres and night life of the West end. 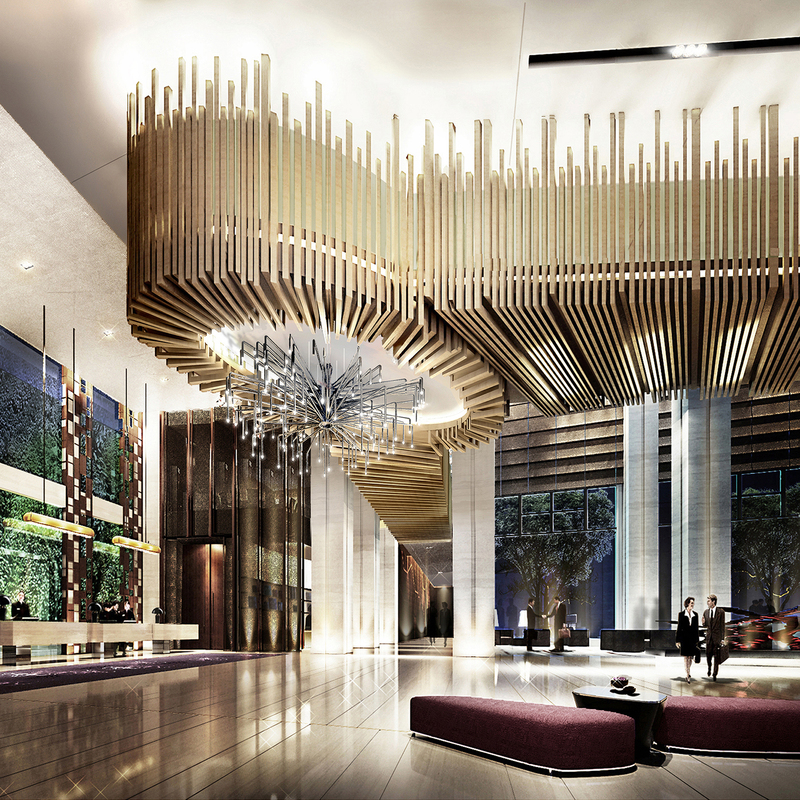 The interior of the hotel has undergone a complete renovation from an international team of architects. 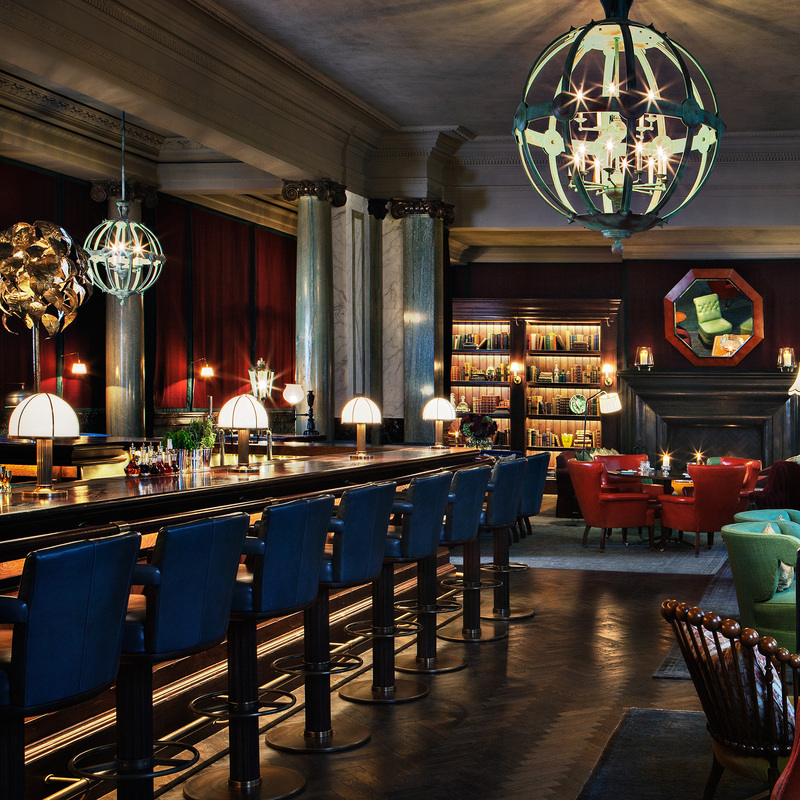 In the midst of Soho and moments from Mayfair, Ham Yard Hotel has an urban village feel. Alongside the hotel's 91 individually designed bedrooms and suites are 24 apartments, 13 independent stores and a restaurant and bar with outdoor dining.